After conducting a survey on your top ten Marbella beaches, Marbella Family Fun decided to let you know of our family's favorite Top ten Marbella beaches as well as where is the best chiringuito (beach restaurant) to have a bite to eat while there. FYI, Trocadero Arena and Nikki Beach are very chic restaurants that are cater towards the jet-set and are significantly more expensive than the others on this list, so although these restaurants are nice, if you are a family on a budget, you may want to avoid these places. 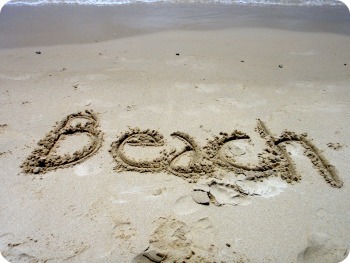 If you have a favorite beach or restaurant that is not on this list, tell us about it! Or post a comment below. See the results of our survey from our Marbella Family Fun readers to see what their Top ten Marbella beaches are. We love Espigones which is just a short stroll away from Puerto Banus along the new paseo towards San Pedro, in front of Buddha Beach. The food is lovely typical Spanish....we are both chefs so we do have high standards....and the atmosphere is great. Highly recommended. Book a table as it gets very busy especially at the weekend 952 817680.